A dark diner in Anywhere, USA. A writer chasing his invisible muse. A tree set aflame in the midst of a desert. One lone buffalo, roaming. The latest impressionistic Volvo spot by Grey New York continues a unusual approach to advertising that started in June with "Wedding," an ad that managed to both intrigue and frustrate viewers who shared their divergent opinions on social media under the #volvowedding hashtag. The new spot, "Song of the Open Road," almost three minutes long, is, if anything, even more cryptic than its predecessor. The ad stars a writer who finds himself at the same creative crossroads as so many of his predecessors—like, say, Walt Whitman. The extended version of the commercial is set to a somber reading of Whitman's poem "Song of the Open Road," a distinctly American epic, by actor Josh Brolin. Just don't expect to understand everything that's going on, especially not on the first viewing. "We call this nonlinear storytelling," says Grey executive creative director Matt O'Rourke, who led creative on both spots. "We script it like crazy, figure out all the backstory, shoot it and then put it out into the world, where we don't intend for you to see it in a linear fashion." O'Rourke tells Adweek he was "amazed" at the time viewers have spent speculating on the meaning of the "Wedding" ad. "By not just putting a bow on it and telling the complete story, we have given people the chance to have strong feelings about the work," he says. We did, however, learn a few things about the mysterious protagonist in "Song of the Open Road" while discussing it with O'Rourke and Grey account director Janique Helson. "The story is that he wrote an award-winning screenplay three to four years ago but struggled to write his second," says O'Rourke. "Was that all he had in him, or is he a truly talented guy?" He adds, "When you tell an actor that, and he has this information to chew on, it makes him give a deeper performance." The work is unusual and somewhat risky for Volvo in an industry largely characterized by vanilla advertising focused on financial incentives and sheet-metal glamour shots. Helson says the key word is "intruiguing." She adds, "We want to draw you in, and we're selling luxury cars that most people don't think of as luxury cars. The construct about creating these last two ads was: Pick people who are not car people." To that point, Grey worked with a director, Niclas Larsson, who had never made an American car ad, and a composer, Dan Romer, who had never worked on any advertising at all. The combination makes for a "short film" fraught with symbolism even though its mini-narrative lacks a clear beginning or ending. 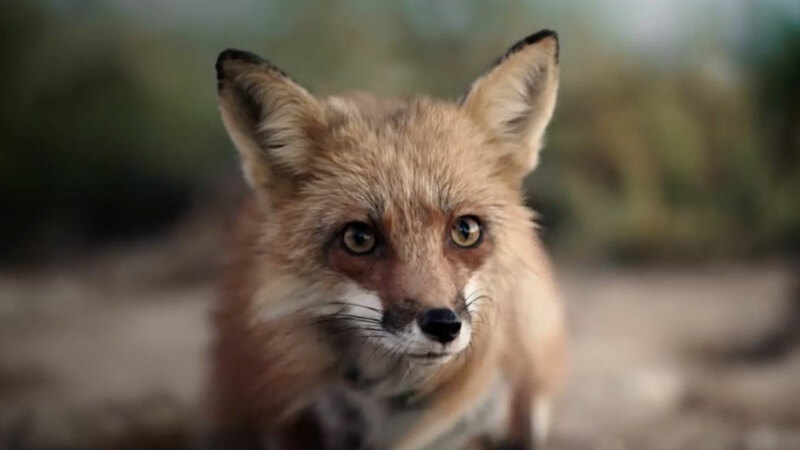 O'Rourke points to many instances of symbolism occurring throughout the spot, noting the correspondence between the bottle of honey in the diner scene, the girls wearing bee and fox costumes, and the appearance of a fox in one particularly memorable shot. He also describes the burning tree as "a strong metaphor," notes that the footage of the buffalo came from an older, unrelated campaign and confirms that Brolin performed the voiceover in a single take in the middle of a dark and windy night. "Some people say, 'I don't get it. I hate it,' while others say, 'I don't get it. I love it,'" O'Rourke says. "That's the goal: creating a conversation. If it makes people have opinions, I think we're doing a good job." Check out the three-minute "Wedding" spot below.